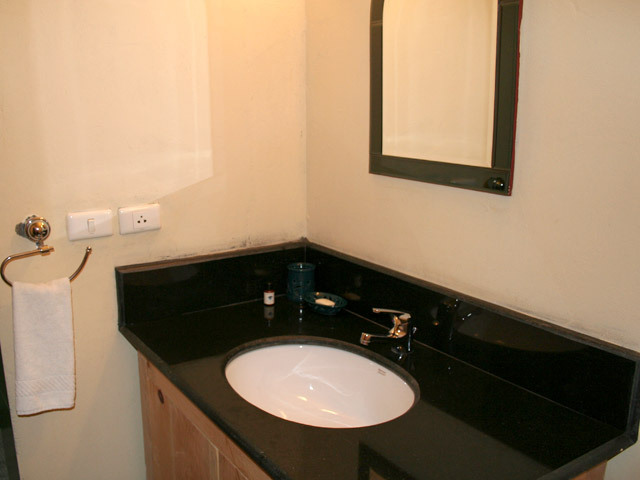 Dewachen Hotel features sixteen double rooms with modern bathroom fittings, comfortable bedding. 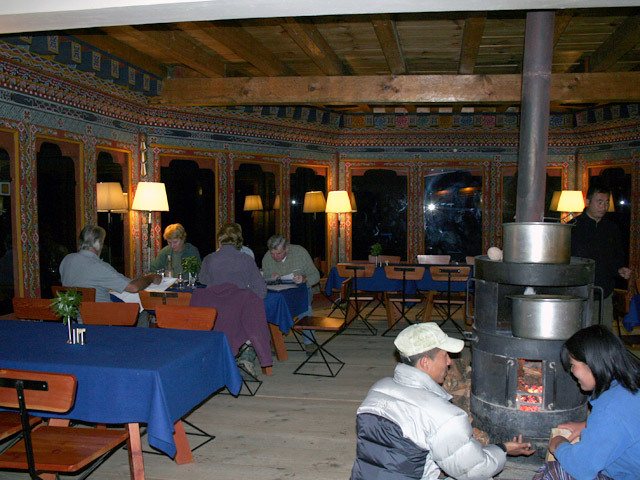 The restaurant is cozy with magnificent views and the meals prepared by a professional chef are delicious. 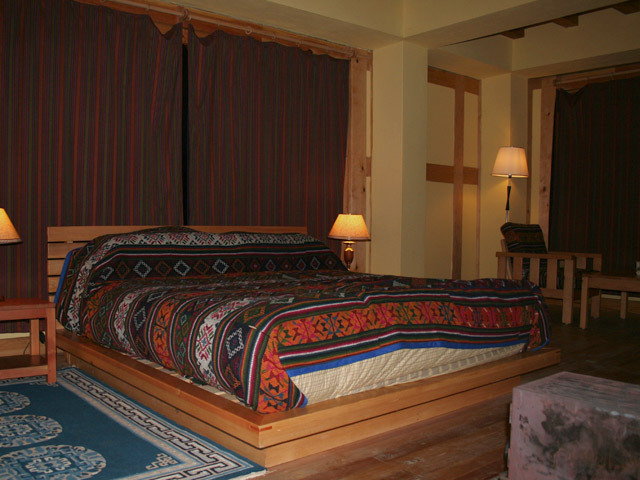 The hotel or lodge is located in the pine forest with beautiful view of the valley and the surrounding mountains. There is no electricity in the valley. The hotel has its own generator supplying electricity for two hours in the evening and two hours in the morning. It is then turned off after the dinner time. The rooms are heated by individual wooden stove (Bukhari). When the generator is not in use, a dim solar powered light or candles are used. At night, during the colder months, guests are provided with hot water bag. For hot shower, you have to ask for hot water in the bucket. •	Airport transfer: charges apply. •	Bar. •	Foreign currency exchange. •	24 hours front desk service. •	Gift shop. •	Laundry service. •	Luggage storage. •	Parking. •	Spa and fitness facility. •	Restaurant (A La Carte Buffet) serving Bhutanese, Chinese, Continental, and Indian cuisines. •	Rooms with attached bath. •	Cable TV. •	Choice of double/twin bed. •	Complimentary bottled drinking water. •	DVD player on request. •	Electronic personal safe. •	Emergency torch. •	Hair dryer on request. •	Mini fridge. •	Telephone. •	Room heating Facility. •	Room service. •	Tea/Coffee maker in rooms. •	umbrella. •	Wake up calls.